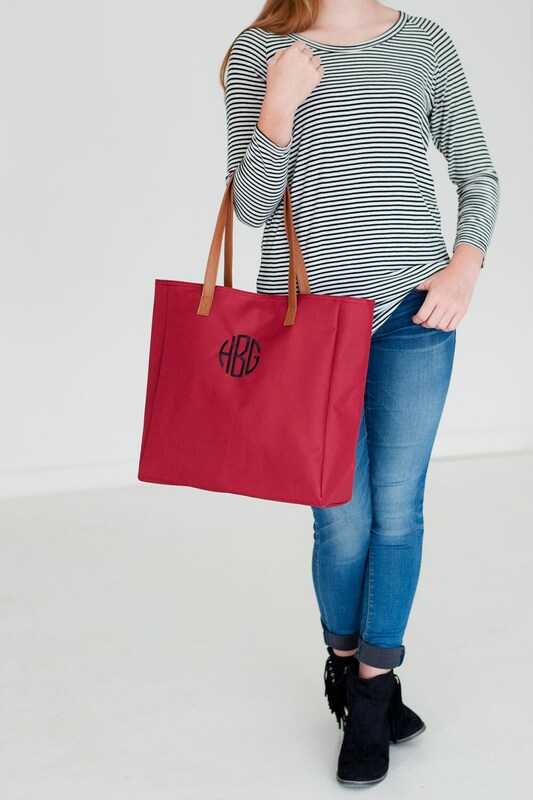 Our new, favorite Monogrammed Tote Bag is available in 8 fun colors that are perfect for game day! 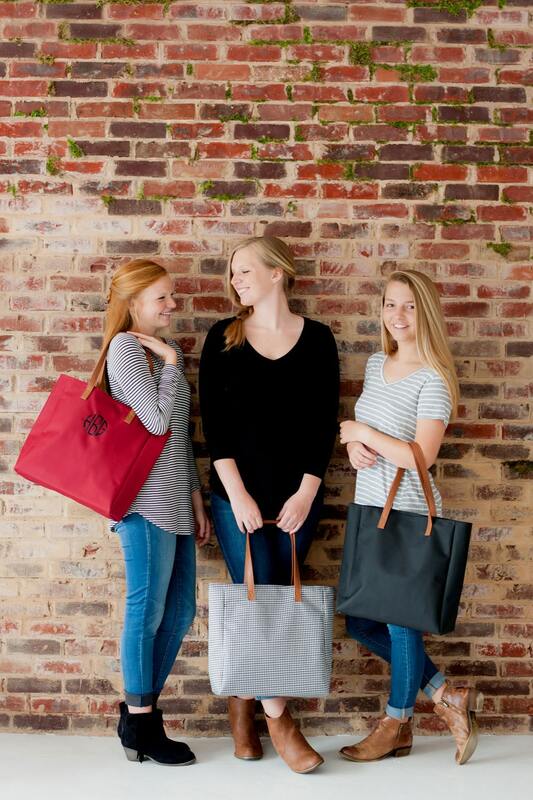 Show your school spirit by choosing from our popular team colors and personalizing with a monogram to match! We offer group discounts!! This bag is perfect for giving as a monogrammed bridesmaid gift, team gift, cheer team gift, and for groups of all ages! Please message us for your coupon code before ordering! 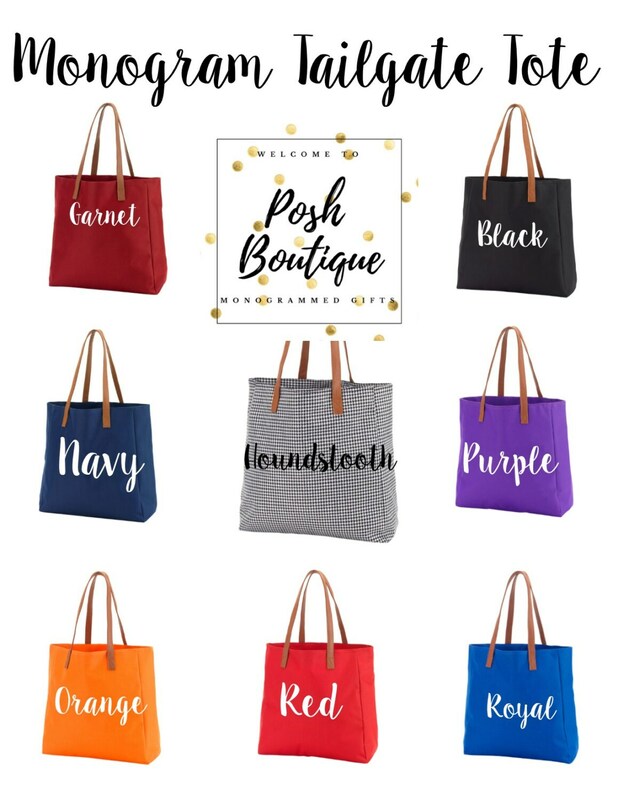 We personalize your monogrammed tote bag by professionally designing your monogram, and embroider your items using only the highest quality Madeira embroidery thread, and embroidery supplies. 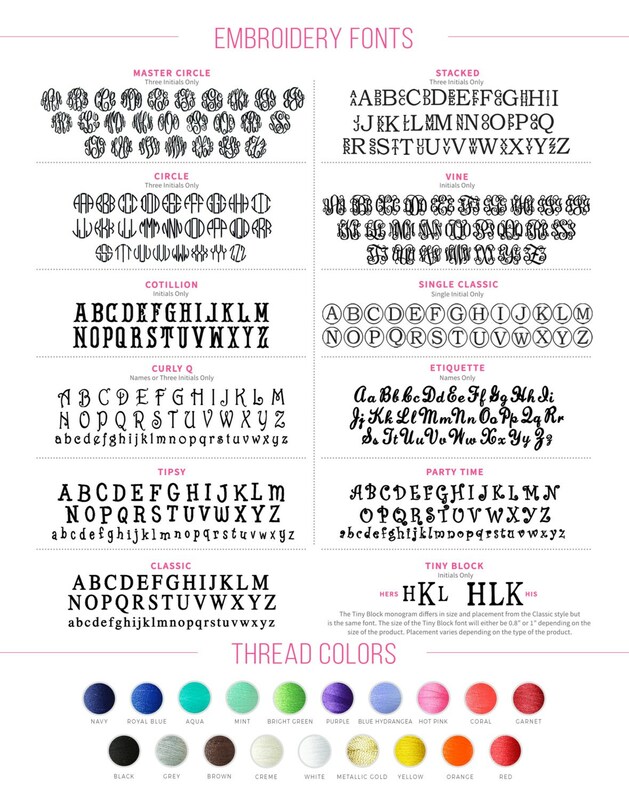 Please see all listing photos for our monogram font and thread color choices. Next, you'll select your quantity from the drop down menu before adding to cart. The last step to placing your order is to leave your monogram or personalization information in the note to seller box at checkout. Traditional monogram order is first, LAST, middle or maiden initial. Please be sure to leave your monogram information in this exact order as we're unable to rearrange the order of your initials for you. We don't allow returns, refunds, or exchanges on monogrammed items - so please be sure you're absolutely sure of your monogram prior to ordering. Love, love, love! I bought these to give to my bridesmaids as gifts and they are perfect! LOVE these bags. I'm giving to seniors on a sports team. The monogram is pretty (vine), the size is nice. These girls will love these for college. I highly recommend. These totes are SO nice! I love the monogramming, they're great quality, and a really nice size. I'm so excited to give these to my bridesmaids as part of their gifts. I think they'll love them and get a lot of use out of them. Sheila was also super communicative and helpful!